Get on the culinary side of Budapest have an up-close look at the most important icon of the city before embarking on a Lunch Cruise across the River Danube! 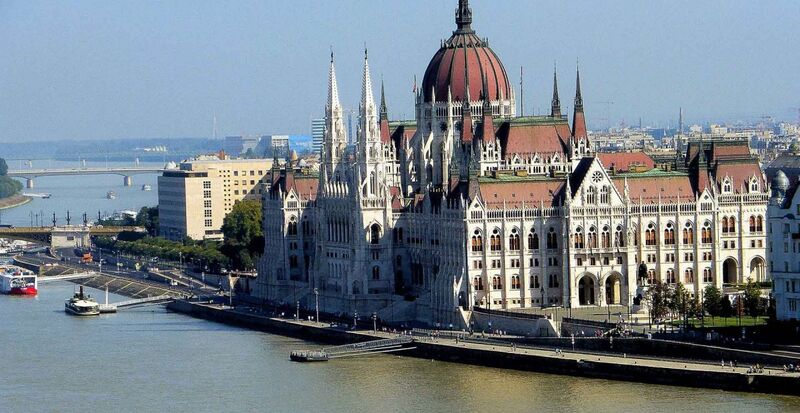 The Hungarian Parliament is the third largest parliament building of the world and one of the most recognised landmarks of Hungary. Tours are available throughout the day from 10AM and you may select any tour from the options just make sure to be able to make it to the Lunch Cruise meeting time. A guide will take you around the gigantic halls of the House of Parliament while sharing the secrets of its past. You will even have a chance to explore the hall of the National Assembly and to lay your eyes on the holiest relics of Hungarian history, the Holy Crown and the crowning jewels. After the tour, make your way to the meeting point at Danube Palace by 13:30 and enjoy your scenic sail through the artery of Budapest. Enjoy a welcome drink upon boarding and tuck into a truly diverse selection of fresh meals from the buffet tables at the centre of the boat. From Hungarian specialties such as Gulyas Soup, Chicken Paprikash and stuffed cabbage to international favourites and vegetarian delicacies you will be able to fulfil all of your palate’s desires. Just don’t forget to leave some space for dessert either. Board a 100-year old steamboat, the Kossuth Museum ship (Budapest, Vigadó dock 2, 1052) and the Gróf Széchenyi Museum Ship (built in 1939) (Id. Antall József rkp. 18, Budapest, 1052 ). If there is no more place for your requested appointment (as the places are limited for visiting), we offer you the closest time. If it is not suitable for you and we do not receive any feedback from you within 24h before the tour we are not able to refund your money.